Britain is home to thousands of family friendly museums and galleries just waiting to be explored by you and your family. Once upon a time, museums meant old, dark buildings full of grown-ups and 'Do not touch' signs - but not any more. Britain is home to thousands of family friendly museums and galleries just waiting to be explored by you and your family. Here's our guide to some of the best around. Welcoming staff and brilliant exhibitions make this one of the best family friendly museums around. The museum opened in 1901 and holds in total over 350,000 objects. The Horniman has three main collections: Natural History; World Cultures (Anthropology) and Musical Instruments. Don't miss the Aquarium, which takes you on a journey from a British pond to a Rainforest in Guyana with 150 species in 15 displays. Children love the atmospheric viewing dens, the colourful fish in the Fijian Coral Reef and watching out for the waves in the rock pool area. Eureka! is Britain's first 'touch museum' for children. 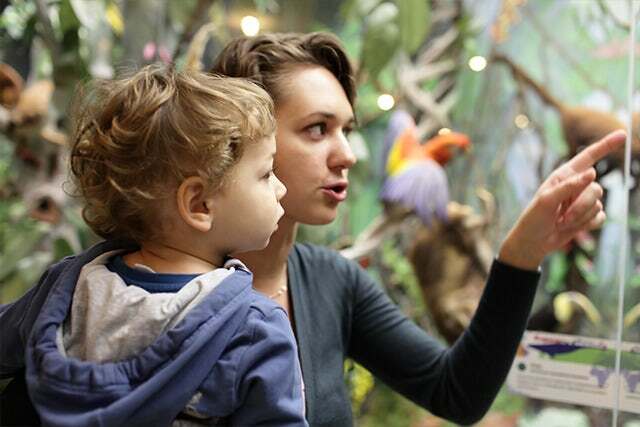 The museum features over 400 interactive exhibits designed for kids of all ages. Find out how the body senses work, travel around the globe, and explore the science behind sound, rhythm and performance at this excellent museum designed especially for 0-11 year-olds. The 'Me and my body' gallery is a must-see, where children can step into a giant mouth, play pinball digestion and ride the skeleton bike to find out how bones and joints work. Admission: £7.25 for adults and children aged 3+, £2.25 for toddlers aged 1-2 years and babies under 1 enter for free. Admission prices include a 10% donation to the Eureka! charity. London's Science Museum is known all over the world for its historic collections and inspirational exhibitions. Visit the IMAX 3D Cinema, where you can see stunning 3D adventures like 'Dinosaurs Alive! 3D' and 'Deep Sea 3D'. The Science Museum has something for all ages, and its fantastic exhibitions - including 'The Science of Spying', 'Inside the Spitfire' and 'The Big Bang' - are sure to keep everyone entertained. Admission: Free, but charges apply for the IMAX 3D Cinema, simulators and some special exhibitions. Techniquest is the perfect day out for kids who love science. There's something for everyone: dozens of hands-on exhibits, a great planetarium and science theatre, and tons of puzzles and activities to keep the whole family entertained. Launch a hot air balloon, fire a rocket, find out all about the life of a star, and even go on a mission to Mars. Kids love the Science Theatre, where fantastic fluids take the stage in a gooey, gungy slime extravaganza, and they even learn how to make it at home. Admission: £6.90 for adults, £4.80 for children age 4-16 and concessions, £20.00 for a family ticket (2 adults and up to 3 children), £1.20 extra per person for the Planetarium Show. Set in the heart of the National Forest, Snibston is an interactive museum for all the family. With over 90 indoor and outdoor interactive exhibits, an award winning interactive museum, the Century Theatre, and a 100 acre country park and nature reserve, you're guaranteed that none of the family will be bored. Don't miss the ExtraOrdinary Gallery, where you can see just how much of an impact technology has had on our lives, and even vote for what you think has been the most influential invention.